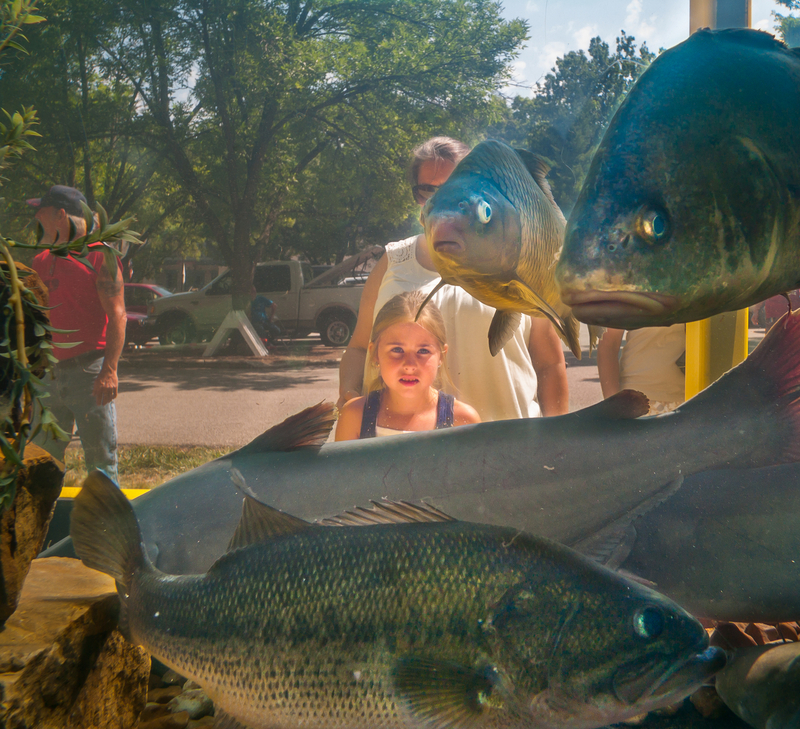 (Jersey County, IL) A young girl looks into a large aquarium that is part of a yearly fishing fair at Pere Marquette State park near Grafton, IL. The mobile aquarium is stocked with fish native to the local area rivers and lakes. There's such an amazing contrast between the girls face and the fish face, it's just enchanting.